A challenge in any side project is the limited amount of time you can dedicate to it. Evenings and weekend are always shorter than you wish they were, and that time is usually already filled with friends and family, errands and excursions, and the rare break from our tools of choice. Day jobs are great at maintaining that context hour after hour, week after week. Everything is familiar and the thread between what you worked on yesterday and what you should work on next is strong. Take a week off from your day job, though, and you find yourself adrift. People returning from vacation often talk about spending a few hours or even longer “catching up” or “getting back in the groove”. With a side project, though, it might be a week or more since the last time you worked on it, every single time you work on it. Plus, you usually only have a few hours; any time spent getting back into the flow is a waste. What can you do to sustain momentum with side projects and get into the flow quickly? Here are a few ideas that might help. Be intentional about where you stop for the day. If you’re designing a web page or screen for an app, for instance, try stepping away from the laptop after you’ve made significant progress, but before it’s complete. The next time you dive in, it will be much easier to start. You still might need a little direction, though. Everything is so clear when you’re in a state of flow that it seems like it will be effortless to pick up where you left off, no matter how many days pass. More often than not, though, it’s difficult. After be surprised by this way too often, I finally decided to take a preemptive step. Now, when I’m wrapping up for the day, I spend a few minutes making notes for my future self. What are the next three things I was going to do if I wasn’t out of time? What problems still need to be solved that I will have forgotten about next week? What steps do I need to reproduce to get my local testing environment in this state again? Notes like these are enormously helpful when you have an hour or two to spare and don’t want to spend half of the time retracing your steps. Sometimes anything is better than nothing. 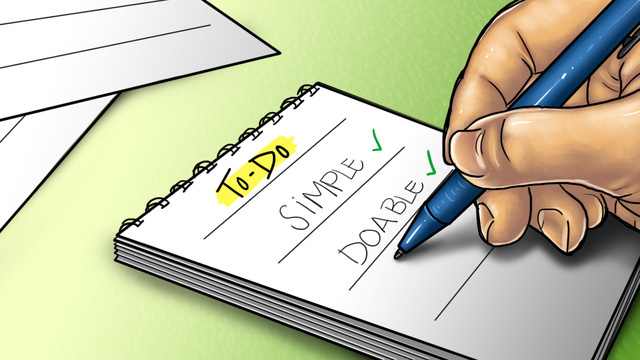 Keep a list handy of small tasks that are perfect for when time is short or things just aren’t clicking. A little progress is better than growing frustration with a blank page, canvas, or screen. Your side project, and the time you invest in it, are both so valuable. I hope something here helps you get the most out of every hour you invest in your craft. If you have methods that work for you, please share them.